Welcome to the Owl Be Home For Christmas Blog Hop!! We are so happy you are here! Please be sure to start at the beginning at Heather Lynn's blog http://heathernovinger.blogspot.com/ so you don't miss out on a thing! We have all made some super cute owl themed projects to share with you today! 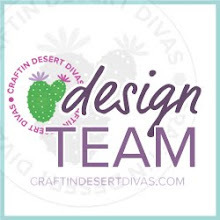 You will not only get some inspiration~ but you could win prizes, too! Heather Lynn is offering one hopper a really fun prize. You must FOLLOW and COMMENT at all of the stops to have a chance to win the Grand Prize! There will be lots of other candy offered along the way! Please take your time and visit all of the blogs! You have all weekend to do so. Please be sure to let us know at the last stop (at Pinque Peacock) that you followed the rules to be included in the random drawing for the Grand Prize! I decided to do a owl shaped card. To get the shaped owl card I used the Wild Card 2 cartridge. His cute little hat is from Create A Critter 2 cartridge. The papers are Recollections Kraft cardstock and Recollections Bright Christmas pad. For the wood grain look on the branch I used Spellbinders M-Bossabilities Bricks and Bark. The sentiment from Scrappy Moms Winter Wishes is perfect for this owl hop!! Here are my simple rules to win my blog candy. Open to US & Canada residents only due to shipping cost. Here is the wonderful line up we have for you this weekend! Thanks so much for joining us!! We really appreciate each and everyone of you! Super cute card Tara! Love it! So cute! Love his fun hat and your attention to detail. Merry Christmas to you! I love your card! Your owl is adorable!!!! What a cute card-love that owl! What an adorable owl card!!! LOVE the fun papers!! Thanks for sharing and Merry Christmas!! i love your charming owl card. The papers are fantastic. Thanks for sharing. I love that shaped card. I need to start making more of my cards like this!! it turned out so cute!! and I love all your christmas things falling all over the page!! So happy to be hopping with you, hope you have a Merry Christmas! I said it before, I'll say it again... I MUST USE MY CRICUT more! Thanks for the inspiration with your adorable card! I'm in awe of the creativity out there. Love your blog and look forward to browsing more! Merry Christmas from Eastern, NC! So happy to be hopping with you and Merry Christmas!! 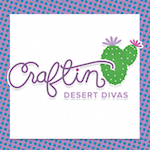 Wonderful projects and great prize pack! Thanks for the inspiration and the chance to win! I am already a faithful follower! What an adorable card! I just got this cartridge and can't wait to use it. Thanks for sharing and Merry Christmas! Super cute card!! The owl is adorable and his hat is darling!!! Your card is so cute, thanks for the idea! Hi Tara! I am a new follower and a fellow hop participant! That card turned out so cute! I love the way you added the cute patterned paper hat from a different cartridge! Great idea! What big eyes your owl has...cute card, thanks for sharing. Smart little owl he is. Lovin his perch and little santa hat. Already a follower. Merry Christmas to you and yours! Wonderful card and awesome details. TFS. He is absolutely owl-dorable! :D I know cheesy :D but really the card is great!! Hehehehe... he is sooooo cute... love those eyes!!! Adorable card :)) Already a follower!! Tara, Your card is oh so cute! I love the little shape and the pretty papers you used! Thanks so much for being in my hop! What a sweet prize you are giving away, too! Merry Christmas to you and your family! Oh I love that owl card - what a super shape and great papers. I hope you have a the most Merry Christmas and a Happy New Year. What a great owl card! Thanks for the chance at winning some extra blog candy, too. 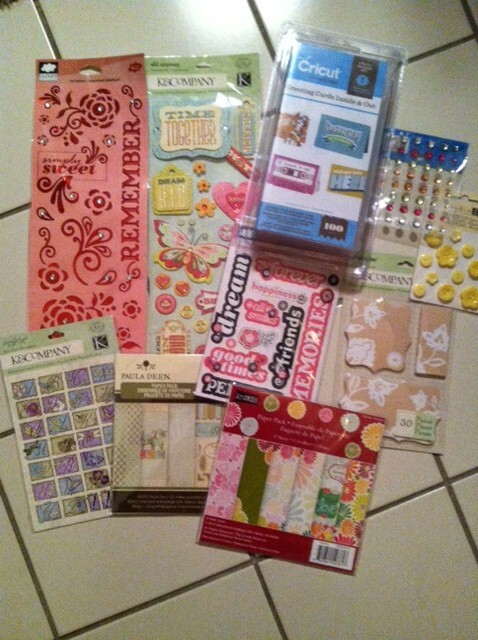 Love your owl card...thanks for sharing and for the extra blog candy!! Oh My Goodness! 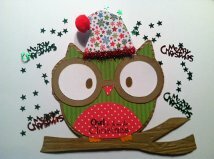 I just Love your Sweet little Christmas Owl Card! His little Hat is so Cute! Love It! Thanks so much for the chance to win your Giveaway and Merry Christmas to you! Totally cute! What a fun card just in time for Christmas. Merry Christmas to you and your loved ones. I am a new follower and would love for you to do the same. Love your little owl! and that it is snowing Christmas things.. I am your newest follower and thanks for inviting us all to visit your cute blog. so cute! loooove that hat!! Love your Owl and I am your newest flower. Thank you for the Hop! So, so cute! I love the shape and his cute little glasses! This card is so cute! Love the little hat he is wearing. Great giveaway, thanks for the chance to win. LOL...love this cute owl with his party hat on! He looks like he's wearing glasses too...so cute! I am already a follower, thanks for the candy giveaway!!! Love the owl. I have wild card 2 but have not use it much. Thanks for the inspiration. Tara, your OWL card is so festive and cute. Love the embossing and fun patterns of paper you used. The sentiment is so fitting. Wonderful Job sweet friend! cute. Thanks for sharing with us at CTO. OMG, the paper(s) you chose for that stinkin' cute owl is just toooooo sweet! TFS! I'm already a follower! Thanks for the chance to win your blog candy! This is great, I really like the owl as a shape! Fun papers, too! Thanks for joining us at FCCB this week!! What a cute little guy! I just love it! I am so happy to be hopping with you! LO(L...So Adorable!Made me Laugh! !Love the santa hat!! Very cute!!! I love it!! I'm a follower!! Cute card and I love that you did a shape. I love your card! and your blog is so awesome. I am re-doing my blog and I need to figure out how to make one as beautiful as yours! Tara this owl is super cute! Merry Christmas! Hope you and yours enjoy a blessed holiday!! Really cute owl!! Happy holidays! such an adorable owl card! Thanks for sharing! I'm a follower thanks for the chance to win! Your Owl shaped card is adorable Tara. Love it!!! Wonderful candy too. Thanks for the chance.